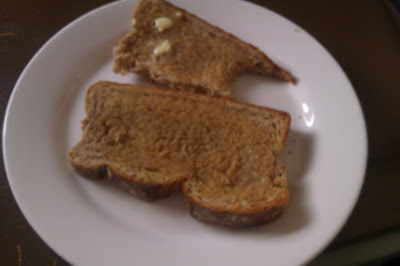 Lately, I have just been eating what I fancy and focusing on eating for energy and nutrition. 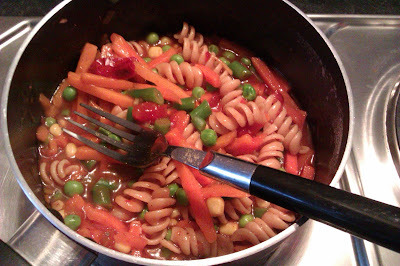 At the moment I am experimenting what foods work for me and what don't. After my recent tummy issues it's important I experiment and see what foods are best for me. 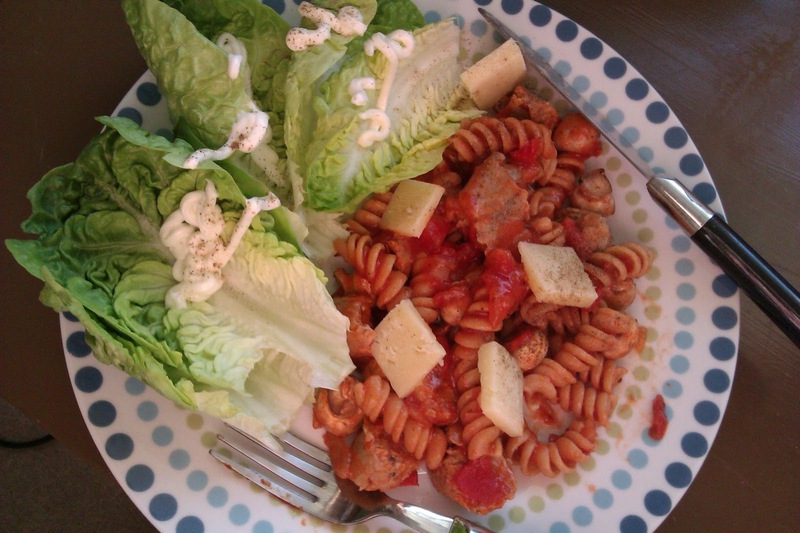 Wholewheat Pasta w/ Arrabiata Sauce, Button Mushrooms, Quorn Sausages, Cheese, Lettuce and Light Mayo. Bitesize Shredded Wheat, w/ Chopped Nuts + Semi-Skim Milk. 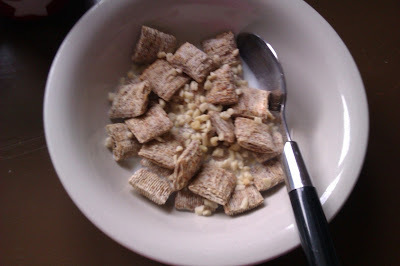 I have returned to my old fave cereals and one of them is Bitesize Shredded Wheat. And lately I've been using cereal toppers to jazz up my cereal. That reminds me I need to get some sultanas as well, as I love sultanas as a Cereal Topper. PANCAKES w/ Chocolate Chips both Milk and White Choc + Banana + Nutella. On Friday we did Pancake Sunday early (me and the best friend), after we had gone for a massive walk. I did my usual recipe but this week I decided to add in chocolate chips - soooo tasty! 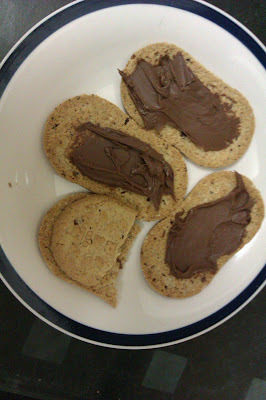 Definitely making these again some point this week. 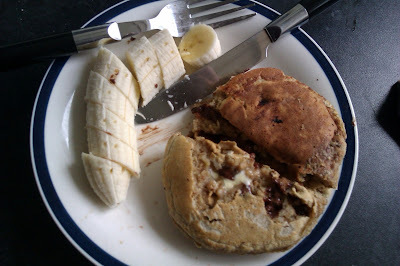 I added a side of banana and Nutella to mine as I find them the best accompaniment to Pancakes. I keep meaning to experimenting but I can see that being kept until the Easter Break I will be getting in a couple of weeks. 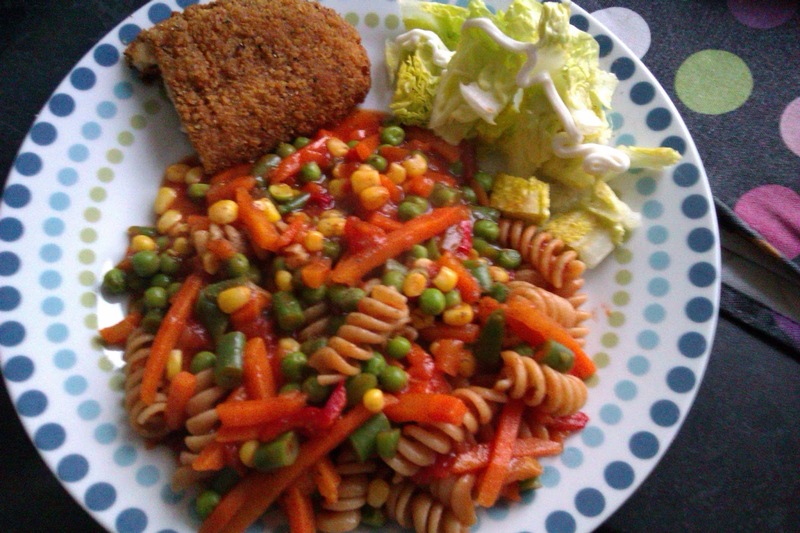 Wholewheat Pasta, w/ Mixed Veg and Arrabiata Sauce, Southern Fried Chicken and Lettuce + Light Mayo. 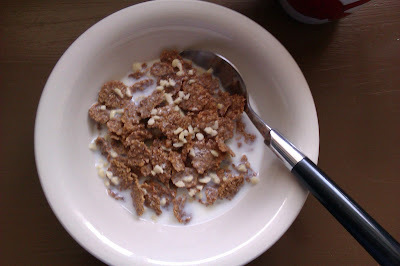 Bran Flakes w/ Chopped Nuts + Semi-Skim Milk. 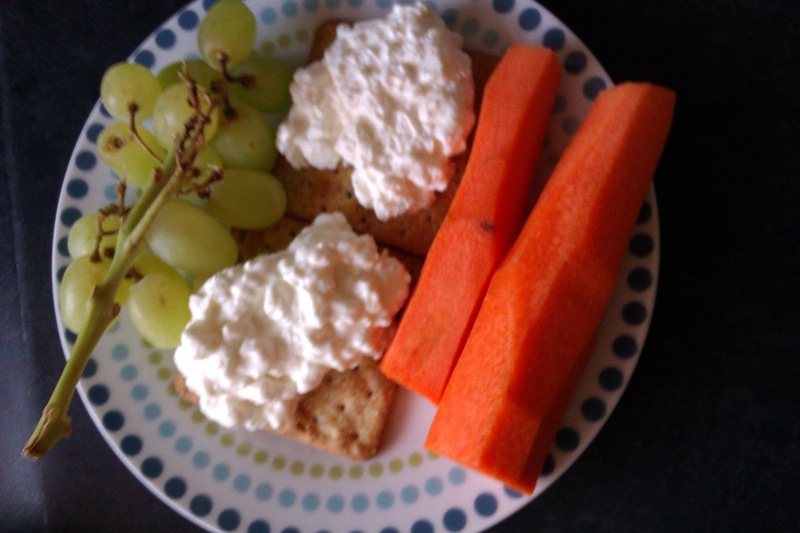 Carrots, Krackawheat w/ Cottage Cheese + Green Grapes. Lately, as I have previously mentioned I am rediscovering what likes me and trying new things. The photo above was dinner Monday after a Jillian Michaels Workout. I loved it, and it hit the spot. As it's getting warmer I am enjoying cottage cheese again! 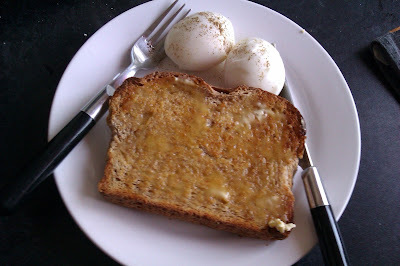 Toast w/ Margarine + 2 Boiled Eggs. Kellogg's Breakfast Biscuits w/ Nutella. 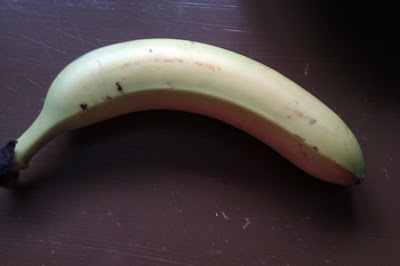 I had actually gone of banana's for a few weeks, which was a nightmare as it's one of my fruit staples and I eat them whenever. They were irreplaceable! Glad to be back eating them. Are the any foods you eat as the weather becomes warmer? Mine are foods like cottage cheese and carrot sticks - Great combo! Hi, just found you. These pictures look great. There were more than enough snapshots for your post. Bananas are my go to as well! Hey Joi, thanks for stopping by. I am loving all different types of fruit again thank goodness :D Enjoy your weekend!